Dr. Hanssen is an experienced scientist turned entrepreneur focused on new, high-impact technology innovations related to energy. He has had a 16-year career in the oil & gas industry, working with most leading energy companies including Shell and Statoil, followed by 12 years in Brussels, of which 4 years working as a project officer in the European Commission. His experience ranges from hands-on research, via leadership of creative teams and innovation processes, to project & program management and IPR; in an international, multi-cultural and cross-disciplinary environment. Currently, Dr Hanssen leads a small research-based consulting firm specialising in facilitating European and international R&D projects and ventures. Large successful EU sponsored projects within renewable energy, sustainable production, fuel cells, hydrogen and CCS have resulted. Originally a petroleum chemist, Dr Hanssen has throughout his career worked on key aspects of carbon materials – their properties, applications and markets – and sees the emerging graphite business as a potential enabler for a vast range of game-changing innovations in energy. He holds a MSc degree in Chemistry from the University of Oslo and NTNU in Trondheim, and a PhD in Energy Technology from Aalborg University incorporating research work from University of Stavanger, the University of California at Berkeley, and Stanford. 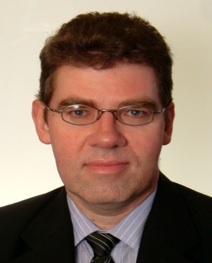 Prof. Haugen is currently a Professor at the Dept. of Geology and Mineral Resources Engineering, at the Norwegian University of Science and Technology (NTNU) in Trondheim. 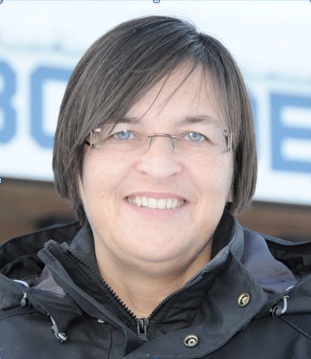 She was previously the Mine Manager at Boliden’s Renström and Petiknäs mines in Sweden, and a senior project manager and the head of the mining technology section at the R&D department at Boliden Mineral AB; a total of 12 years at Boliden. Prior to that she was the Quality Manager and Mine Superintendent at Europe’s only operating flake graphite mine; Skaland Graphite AS in Skaland, Troms, Norway. From 1989-1992 she was a mining engineer and the Mine Superintendent at Bleikvassli Gruber A/S, an underground Zn/Pb-mine in Nordland region, Norway. She holds a PhD and a MSc in Mining Engineering from NTNU, is Six Sigma Black Belt certified, and an author of numerous scientific publications on mine planning, scheduling strategies, equipment selection, and extraction and production optimization. Tore was the Chief Geologist (worldwide) for Norsk Hydro for over 12 years, and has enjoyed a total of 34 years of employment with Norsk Hydro internationally across all continents. He has been given partial or full credit for many Major Discoveries, including Bjørkdalsgruvan Gold Mine, Hurdal Molybdenum, Musely Potash, Lower Cove, and Nolans Bore Rare Earth. He has more recently contributed on the board of directors of Kenor ASA, Guinor Gold Corporation, and others. PhD and MSc in Civil Engineering from NTNU; Royal Norwegian Military Academy, Second Lieutenant upon departure. Specialist in rheology, construction materials & industrial innovation, including the use of graphite & nanomaterials as additives for construction materials. Previously Associate Professor of Materials Science, NTNU. Prior to that R&D director with Heidelberg Cement (including Aker/Scancem) and Director of Business Development for Saint-Gobain.